Solar powered lights provide benefits which include reduced installation cost, the ability to be installed in places where no other source of energy is accessible, etc. A solar power lighting system is intended to provide adequate energy to the lights throughout the winter in the event the amount of solar insolation may be reduced. 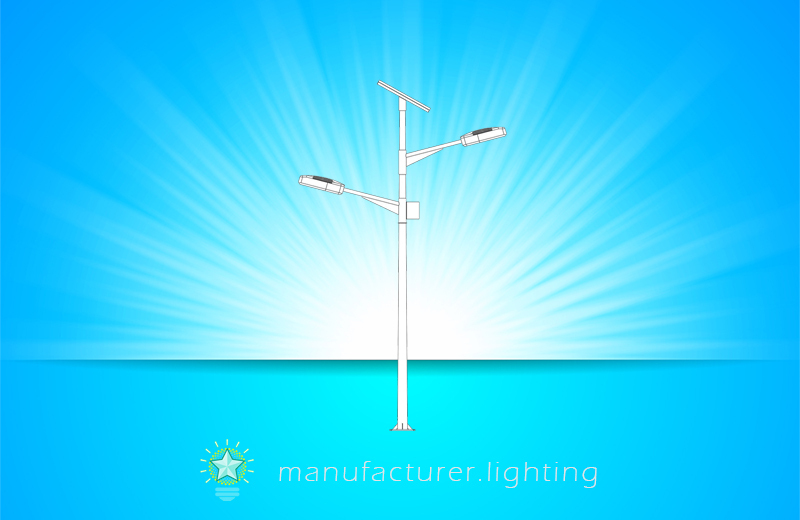 Considering that the LED street light uses DC power and is installed outdoors, a lot of them are equipped with solar cells. A solar street lamp typically comes with a solar panel, a storage battery, and a lamp. The solar panel absorbs solar energy and converts it into electric energy, which is utilized to recharge the storage battery. The storage battery supplies power to the luminaire. Solar powered lights light up your outdoor walkways, dining areas and decks, all while adding extra security to your residence and taking advantage of solar energy. The waterproof IP65 aluminum alloy and toughened glass housing incorporates the solar panel, the replaceable lithium ion batteries, and the dusk-to-dawn timing controller all into one unit. An inverter and charge controller card is used to convert the stored DC energy in the battery to appropriate AC voltage to ignite the LED. A reflector is included in the luminaire to improve and spread the light uniformly. Highly efficient controller charge yours batteries and intelligent microprocessor controlled algorithms for light management ensure maximum uptime. Solar street LED light comes with an elegant integrated aluminum alloy design. This fixture doesn't need any wiring and is quite simple to install. Along with the PIR motion sensor, illumination levels will self-regulate upon detection of activity throughout evening which further improves battery autonomy.